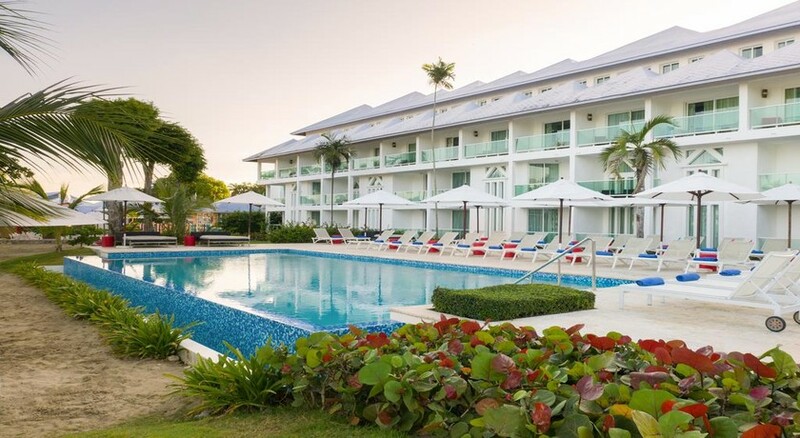 Nestled in a great beachfront location, Grand Paradise Playa Dorada is one of the most sought-after hotels in the Puerto Plata resort of Dominican Republic. 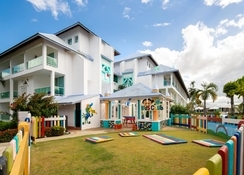 This fantastic resort is located at Playa Dorada complex and enjoys a close proximity to all of Puerto Plata’s attractions, thus offering its guests a wide range of choices. Housed in Vicorian-style buildings, the rooms and suites at the hotel are elegantly decorated and pack in contemporary amenities. The resort offers attractive views of gorgeous beach and surprises its guests with exciting motorised and non-motorised water activities. Besides that, guests can spend their time taking a dip the pools or sample the appetizing cuisines served at the 8 restaurants and bars. To make the evenings more happening, the hotel arranges exciting night shows and evening entertainment. The on-site casino and disco are perfect spots to visit if you want to kick back and unwind after an action-packed day at the beach. 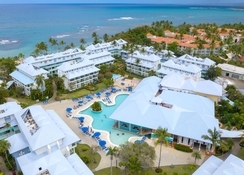 Grand Paradise Playa Dorada is located at Playa Dorada complex, only five minutes from the town of Puerto Plata, making it a perfect location for guests who would like to go shopping or sightseeing. The resort enjoys close proximity to various attractions in the region like the Playa Dorada Golf Club, Fun City and Long Beach. The La Union Airport is just 25 minutes from the property. 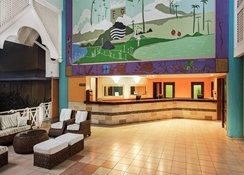 With 425 rooms to choose from the Grand Paradise Playa Dorada does not skimp on options. Housed in Victorian-style buildings, each glass-doored guest room at Grand Paradise Playa Dorada is furnished with a balcony with views of the ocean or garden. The rooms come equipped with cable TV, air-conditioning, one or two double beds, telephone, safety box and wireless internet access (surcharge) that keeps the guests connected. Also, private bathrooms with shower/tub combinations feature complimentary toiletries and hair dryers. 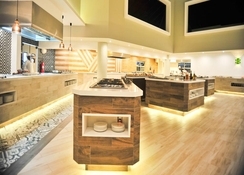 Restaurants, bars and cafes are the secret components to a special holiday, and with four restaurants and four bars to choose from, the Grand Paradise Playa Dorada doesn’t leave room for an unfulfilled appetite. A holiday at the hotel provides you with Hiscus, a buffet restaurant; Hibiscus, for Continental breakfast; Eden’s, which serves snacks and an a la carte grill; and the elegant Michelangelo, an a la carte Italian restaurant. 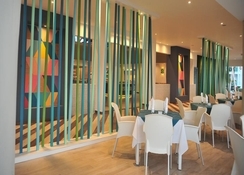 A complimentary buffet breakfast is served each morning between 7am – 11am. 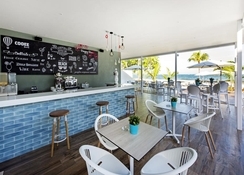 Along with this colourful choice of restaurants, there are four bars – Beach Bar, Swim-up Bar, Sinners Bar and Extasis Bar – to quench your thirst along with some delicious snacks. Grand Paradise Playa Dorada offers exciting activities and water sports within the resort itself, and easy access to the beach, an on-site casino and a never ending list of recreational activities. Jet skis, water skis, catamarans, banana boats and boat tours lie at the disposal of the guests, apart from the non-motorised activities such as snorkelling, kayaking, windsurfing and sailing. Besides the adventurous water activities, the resort also comes with a swimming pool, a children’s swimming pool and a Jacuzzi to help the guests make the best of a leisure day. Grand Paradise Playa Dorada also boasts many other all-inclusive features such as a daily activities program, an exciting night show and evening entertainment, and a disco where guests can dance the night away in style.